When it comes to competition, Scranton MMA is not only the most active academy of northeast Pennsylvania we are also the most decorated! In 2010 alone the practitioners at Scranton MMA competed in an impressive 38 events spanning areas of competion in Judo, Jiu Jitsu, Wrestling, and Mixed Martial Arts and managed to obtain an impressive 94 medal place victories! 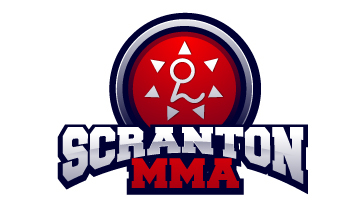 In addition the mixed martial arts fight team at Scranton MMA has continued to prove its superiority by maintaining an impressive 80% win average with a team record of 48 victories and only 12 losses! Whether it be Jiu Jitsu, Judo, Wrestling, or MMA; competition can be a barometer for the skill of any martial artist. While it isn’t essential that you compete, preparing for a competition can turbo charge your progress in the martial arts. The narrow minded focus of preparing for a match or series of matches can sharpen the execution of your techniques and expose your weaknesses that need to be improved upon. The preperation for the event is actually the most important part of the entire process for it is in training that the fight is won or lost. In a carefully governed competition against another fighter you will be able to learn how you will react in an extreme situation while still being able to be saved by the rules if something should not go your way. Being in a match is the closest thing to a real street fight. Competion can develop your ability to control your emotions and teach you to deal with fear and anxiety, leaving you much more relaxed and confident for a real life no rules encounter!